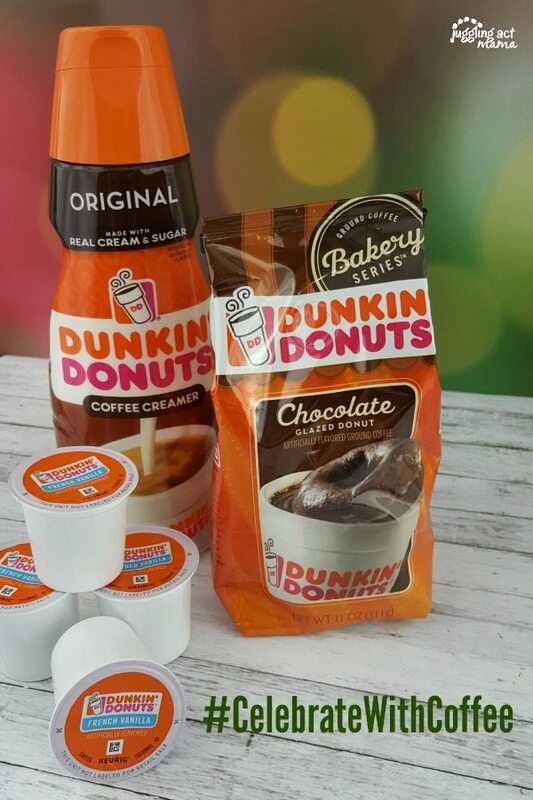 Dunkin Donuts coffees and creamers are a must-have year-round, but at the holidays it’s even more fun to #CelebrateWithCoffee! With so many coffee lovers on my Christmas list, I always stock up on Dunkin Donuts products during the holidays. It is great having a variety of coffees, including K-Cups on hand to suit everyone’s tastes. And the creamers let everyone customize their coffee. 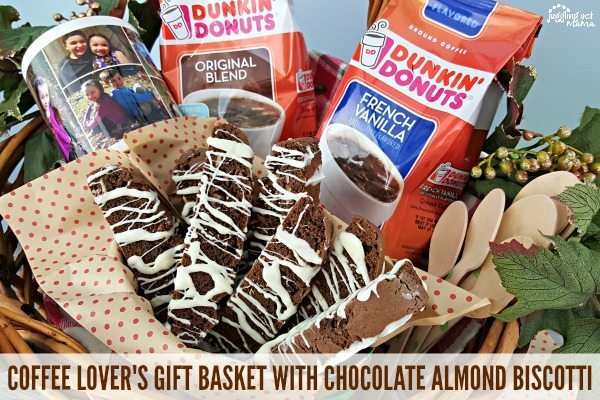 I love making edible gifts like Vanilla Cupcake Biscotti and Chocolate Almond Biscotti, and putting together these delicious treats into a festive Coffee Lover’s Gift Baskets for friends and family. These baskets can be as simple or elaborate as you like. Add custom coffee mugs for a personalized touch. 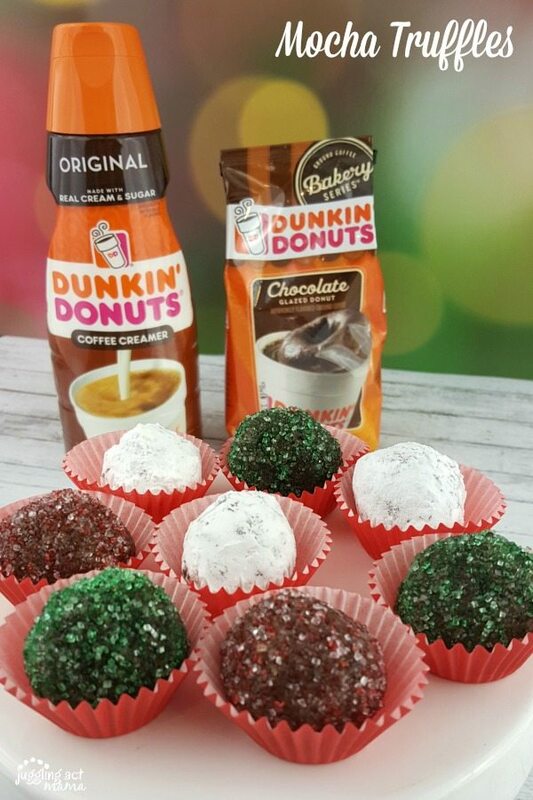 This year, I’m making up some delicious homemade Mocha Truffles using Dunkin Donuts® Extra Extra or Original Creamer and Dunkin’ Donuts® Bakery Series Chocolate Glazed Donut coffee. I shopped at Target, where they have a great selection of Dunkin Donuts products. 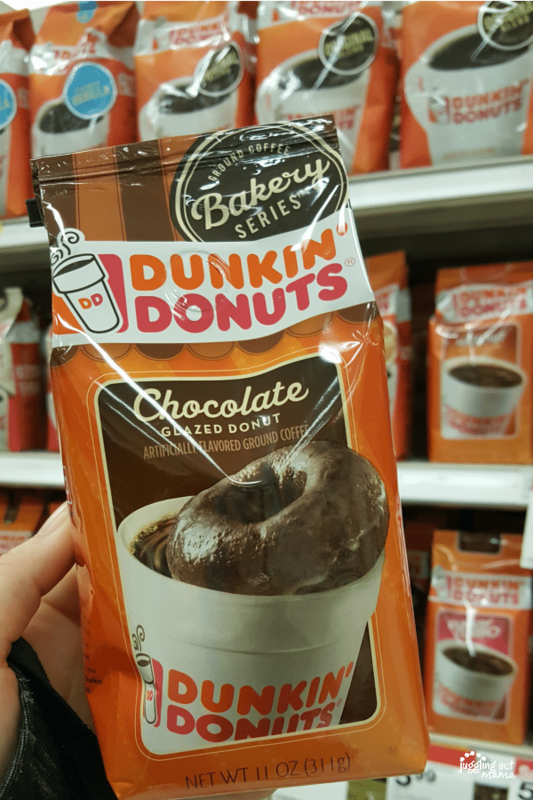 These Mocha Truffles are flavored with Dunkin’ Donuts Bakery Series Chocolate Glazed Donut coffee granules. You can change the flavor of these Mocha Truffles by switching up the creamer and coffee granules you use. Try Hazelnut, Caramel, or French Vanilla for example. 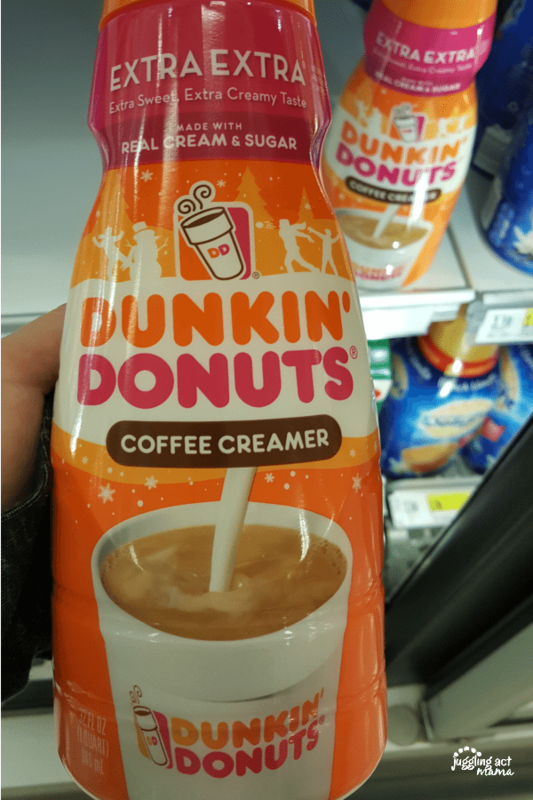 Save on a variety of Coffee Creamers with this Target Cartwheel offer. These handmade decadent Mocha Truffles are a delicious holiday gift idea, and they’re perfect for parties, too. Prepare a 9×9 pan by lightly greasing it with coconut oil. On the stove top over medium heat, whisk together the creamer and coffee granules until warm. Add the chocolate and whisk until very smooth. Pour the mixture into the prepared pan. Cover and refrigerate for 4 hours, or overnight. Remove the chocolate from the refrigerator and let set for 10-15 minutes. Pour your toppings for rolling into deep cereal bowls. 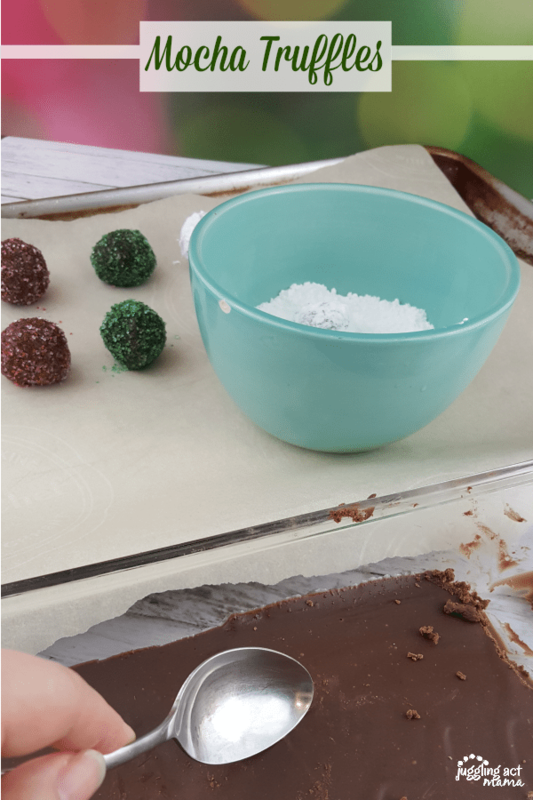 Using a spoon, scoop some of the chocolate mixture and use your hands to roll into a ball. These are so rich, so I like to make mine just shy of an inch-round. 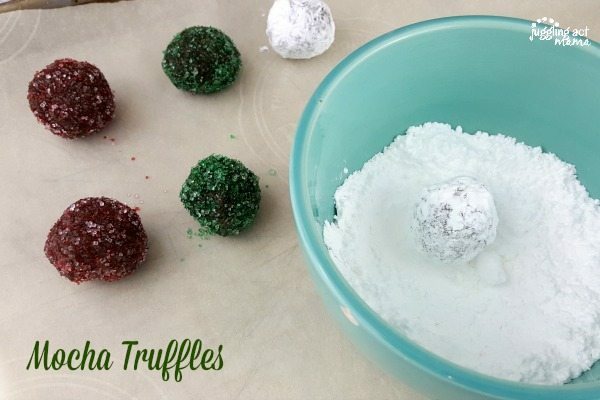 Roll the truffles into your topping of choice. 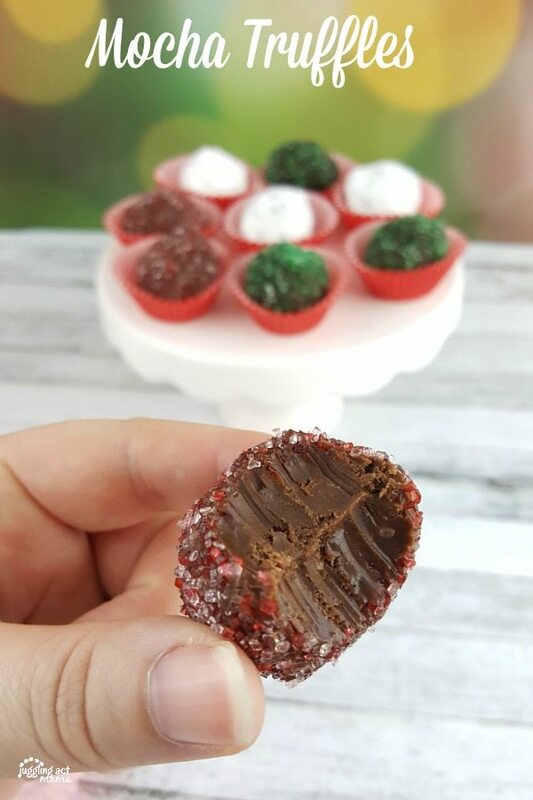 Set them into festive candy papers or mini cupcake papers. Store in the refrigerator until you’re ready to serve or gift them. They will keep for about 7-10 days. 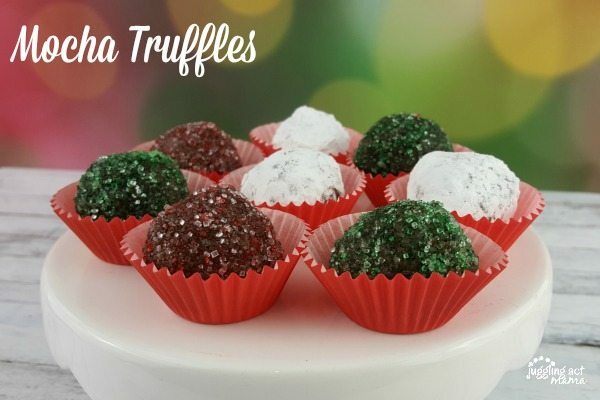 This recipe makes about 30 truffles, so one batch can be packaged up for several gifts. I like to use small candy boxes and decorate it with a festive ribbon. Traditionally, truffles are rolled in cocoa powder, but festive sprinkles make these Mocha Truffles so pretty. You can also use a variety of other ingredients such as chopped nuts, crushed candies, or toasted coconut. Need more recipes and gift ideas for Coffee Lovers? Check out these posts for inspiration, and be sure to shop at Target where you can save 5% on Dunkin’ Donuts Coffee with this Target Cartwheel offer. These look amazing! Pinning them now to make this week! Those truffles look sooooooo good! Thank you – they’re amazingly decadent! These look tasty and would make good gifts. I would like a whole bowl (plate?) of those right now. They look so good! This looks amazing! I love that you added color for the holiday too! I bookmarked this one to make and put on our Christmas cookie trays! They would add the perfect pop of color! OK it is 3am and now I want one. I should have looked at this either soooner or later ha! 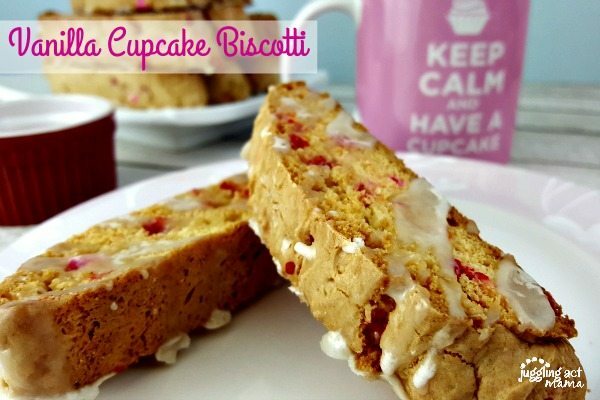 I cant eait to make these!